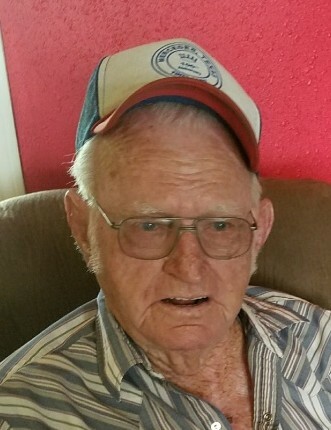 Obituary for Barney Rogers Tate | Smith Mortuary, Inc.
Barney Rogers Tate resided in Lavaca, AR, passed away Monday, December 24, 2018 in La Feria, Texas. He was born November 22, 1930 on Tate Hill to the late Tom Tate and Sharlet (Ratliff) Tate. He was 88 years old. Barney was in the US Armed Forces, 6th Infantry Division Cook in Korea and Germany. He was an avid camper and fisherman, traveling all 50 states. Barney was a man of many trades from rebuilding bicycles to rebuilding lawn movers to driving dump trucks and dozers in the national forest. Barney was preceded in death by his wife of 54 years Betty Tate. He is survived by his companion of 7 years, Muriel Ruth Lovell, three children, Kim Tate of Greenwood, Sheri Tate of Lavaca, and Marc and Jan Tate of Greenwood. Barney had seven grandchildren, thirteen great grandchildren and one great great grandchild. A family held memorial service will be at the Lavaca Senior Citizens Center Saturday, January 26, 2019 at 12PM. Pastor Tony Bias and Pastor Cameron Moore will be officiating. Food and visitation to follow.